Piercing, an ancient practice, has become very popular in recent years. People get pierced in different areas of the body such as the eyebrows, noses, ears and navels. One type of piercing is on the tragus, a perforation of the ear lobe. If you want to make this type of piercing as a fashion or personal statement, there are some things you should know to keep yourself safe. As the name suggests, piercing of the tragus involves making a hole in the small cartilage nub which is right in front of the ear canal. The main purpose is to insert a piece of jewellery that you can wear. It’s the same thing that happens when you have other parts of your body pierced. You have to find a reputable shop or clinic with licensed and professional piercers that can do the type of procedure you need. If you need help finding the right piercer, take a look from the list kept by your local councils of approved shops and piercers that have met safety and hygiene standards. Remember if it is not properly done, you can end up being hurt or you risk getting an infection which can lead to other complications. It’s all pretty simple, the piercing specialist will rub the area to be pierced with rubbing alcohol or any type of disinfectant. Note that the tragus is quite susceptible to infections such that it is extremely important to keep the area clean. 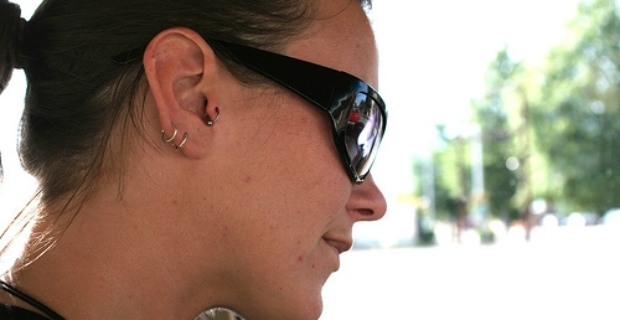 The one piercing your ears should also wear gloves to avoid infecting the target area. 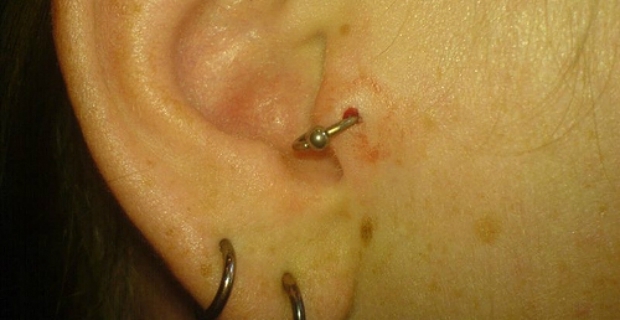 A small hole will be made on the tragus using a slightly straight or curved needle. Pain might be felt. Hence, for a seamless experience, you should only get your tragus perforated by a trained piercer using the best sterilised tools and jewellery that you would like to wear. When you decide to have piercing on the tragus, bear in mind that it might hurt a little. However, there are not many nerves on the tragus and very little blood flows through it. Strong bleeding is not expected to occur. There will not be a lot of pain either. However, it is vital to keep the area clean and dry at least 4-8 weeks once piercing is done to avoid infections and complication. Possible complications include HIV, hepatitis or bacterial infection.